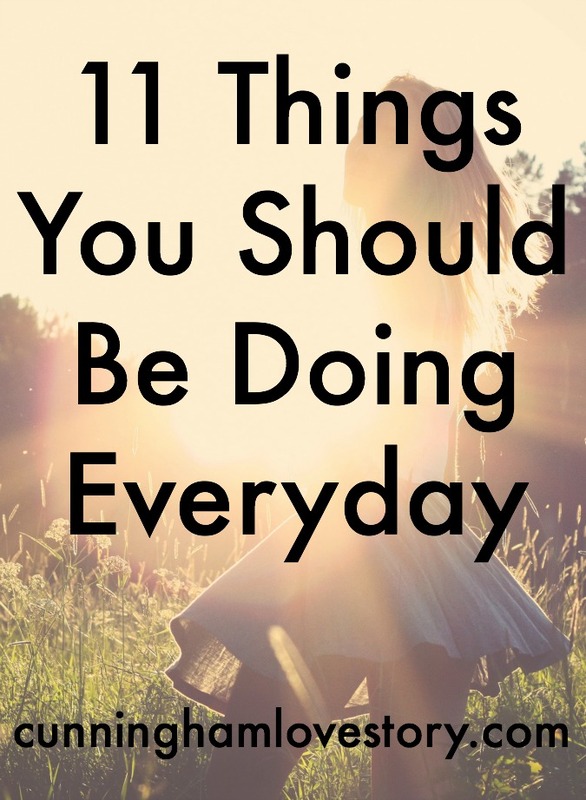 Experts say that you should do certain things everyday to have a successful, healthy life. I'm definitely not an expert, but this is my list-- And I think they're all (usually) doable. 2. Drinking lots of water. 4. Taking time for yourself (bath, pedicure, 10 minutes alone, etc.). 7. Eating a healthy meal with fruits &/or veggies. 8. Drinking coffee (my personal fav). 9. Writing (in a journal, on a blog, etc.). 10. Spending time with the people you love. 11. Enjoying every single moment of your life. What do you do everyday that helps improve your life? Yes yes and yes. I try to do these but obviously sometimes its hard. I've recently been trying to sit down and write in my journal every day! That one's tough!! I do most of these things, but there are a few I could improve on! I have never in my life eaten breakfast, but this week I started eating two eggs and some cottage cheese each morning, and I have honestly felt so much better every day. Definitely going to continue with that! I need to be better at reading everyday!! Does blog reading count?! ;) If so, I also count blogging for journaling haha I can't think of any daily habits but I REALLY want to make working out a daily habit to stay healthy! I wish I had time to read every day! That's something I need to work on. Great list! Blog Takeover: Writings & Worship!